KERB will open a new food hall concept called Seven Dials Market. 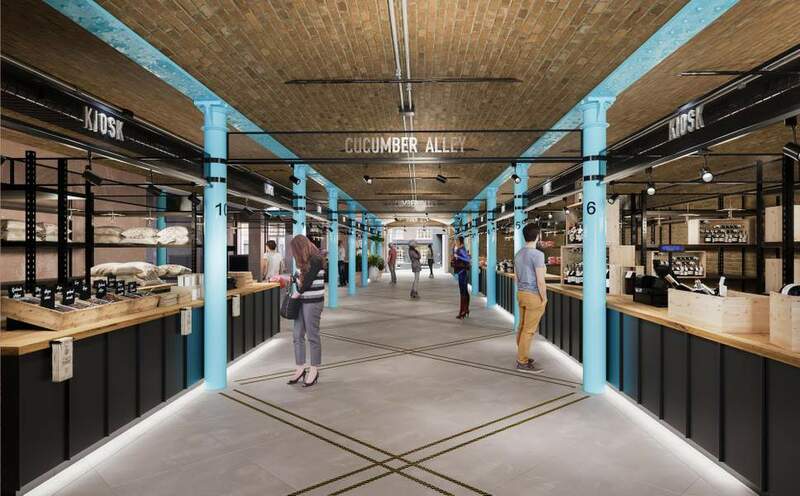 The West End is set to get its first permanent covered food market at a former banana and cucumber warehouse near Covent Garden, the Evening Standard can reveal. The venue will be called Seven Dials Market and have space for about 26 traders and seating areas for hundreds of visitors. Street food operator KERB, known for hosting stalls in the City and Paddington, has agreed to operate inside a building for the first time. Although there are open-air markets such as Soho’s Berwick Street Market operating in the West End, the nearest covered foodie destination is Borough Market across the river. The new venue will be yards from the site of the former fruit, vegetable and flower markets in Covent Garden piazza, which relocated to Nine Elms in 1974. He added that there will be fresh produce stalls, hot food and grab-and-go meals. He is looking for start-ups and independent vendors to take space. KERB’s other uncovered markets have hosted firms such as Burger & Beyond, Nonna’s Gelato and Melter Meatballs. The company has signed a lease with the landlord, property company Shaftesbury, to take over 22,000 square feet of Thomas Neal’s Warehouse. Shaftesbury, which also owns swathes of Carnaby Street and Chinatown, has invested to redevelop Thomas Neal’s Warehouse, transforming it from its more recent use as a shopping centre. Tom Welton, executive director at Shaftesbury, called it a “significant building that required something special to give it a renewed purpose”. The Seven Dials area has 32 million annual visitors, and the market is expected to boost shopper footfall further. Nicholas Marks at property agent James Andrew International, which brokered the deal alongside JLL and Nash Bond, said that despite economic uncertainty “London remains one of the food capitals of the world”.